raum]für[raum is not only a reliable solution to manage your rooms and resources, the value added also extends to other departments of your company. The controlling profits by the various and significant reporting options, which allow detailed conclusions regarding the efficiency of specific processes. Another advantage is the possibility to add costs to the bookable resources in raum]für[raum. This makes it easy to create invoices or export tables. 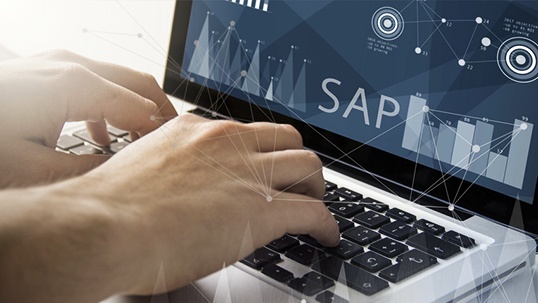 The connection to SAP and the related processing of cost-relevant parameters also benefit the controlling department. raum]für[raum enables you to add individual costs to every available object, whether these are rooms, fixtures or catering services. The costs can be composed differently and be valid for specific periods. It does not matter, whether the costs are actually charged or whether the cost allocation takes place in the company’s environment. raum]für[raum acts entirely in accordance with your wishes. The accounting can be carried out as invoice or export table. Your accounting system can be connected to raum]für[raum with the aid of our interface, which directly responds to the SAP modules CO and FI. The cost-relevant parameters including guest verification and tax assessment are processed by raum]für[raum and exported directly to your SAP system. The controlling has the possibility to evaluate a variety of detailed information within raum]für[raum. Which occupancy rates were documented in the last quarter? How often have the videoconference objects been used? How many conferences took place at which location? What kind of costs were caused on which cost centre? The evaluation results show you where processes can be optimised or where resources can be used more efficiently.